Angelin is one of the longest-serving members on North Island’s team. Officially in charge of keeping the swimming pools crystal clean, unofficially adopting the role of wise old soul and brand ambassador of North Island. “If someone believes in heaven – North Island is a little bit of heaven and there’s nowhere else in the world that you can find a place like this…nowhere else”. Passionate words spoken by Angelin when asked why North Island is special to him. So passionate that he has North’s logo shaved into his hair and tattooed on his chest. One thing is clear from the second that you meet Angelin, he loves what he does. For him, working on North Island is more a lifestyle than an occupation. 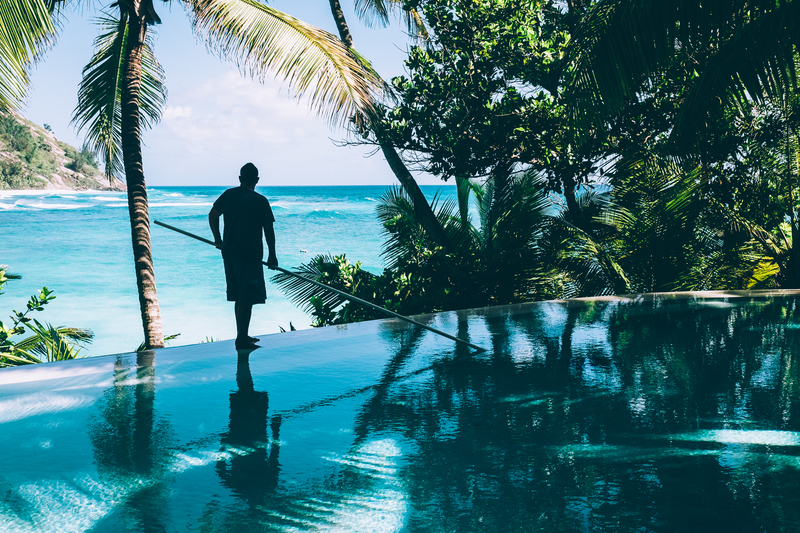 Immensely proud of his beautiful pools, Angelin can often be found roaming the island in the early hours of the morning ensuring that the leisure areas are in a pristine condition when guests wake from their slumber. Not a leaf out of place. Angelin was born ‘on the water’ in the midst of floods on La Digue and ever since Angelin has been drawn to the water. 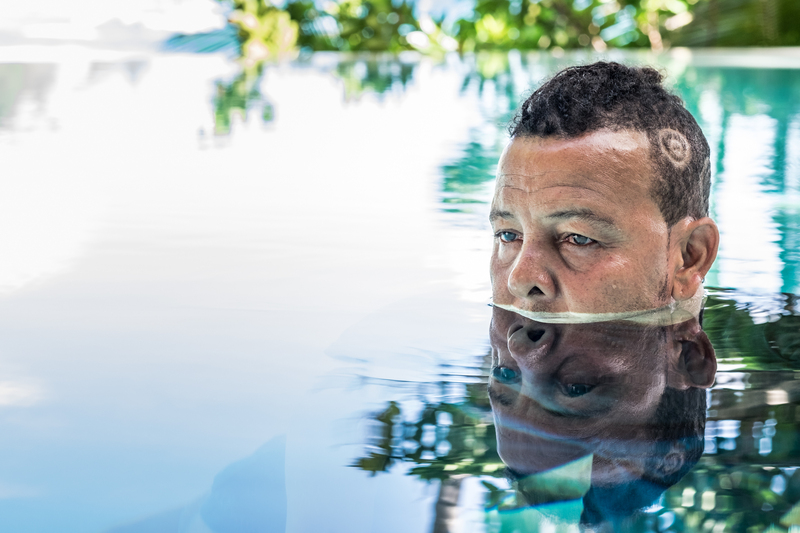 Previously a skipper, his transition to becoming North Island’s pool cleaner was a natural evolution when Angelin hurt his back. His love for water means you can even find Angelin fully immersed in his diving kit scrubbing every square centimeter of the deep end of the swimming pool. Angelin is passionate about nature and surrounds himself in North Island’s fauna and flora on land as well. You will bump into him in remote areas of the island in search of rare and endangered birds. You can find him careering across the granitic rocks on Petite Anse, dodging the sea spray, in search of the first White-tailed Tropicbird chicks of the season. Angelin thoroughly enjoys photographing and monitoring birds on the island from infancy to maturity. He also enjoys spending time with our Environmentalists, tracking Hawksbill turtles who lay their eggs on our shores by day and going on night missions in the hope of witnessing tiny Green Turtle hatchlings make their way back into the water. A kind soul with a quiet confidence and sense of calm about his being. The Islanders naturally gravitate towards him for advice, conversation and mentorship. Angelin holds North Island’s history in his heart and is full of stories of her past. A fascinating individual – if you happen to see him at the pool, do stop to have a chat. Watch Angelin in our latest video.